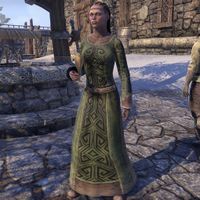 Abannah is a Redguard noble found in the city of Windhelm. She's on the east side of town near Cold Moon Inn. Like most celebrants, she has no dialog. This page was last modified on 22 October 2017, at 00:52.